WASHINGTON — A bill aimed at reducing a suicide epidemic among military veterans is on its way to the president for his signature. The Senate unanimously approved a bill Tuesday named for Clay Hunt, a 26-year-old Iraq and Afghanistan veteran who killed himself in 2011. The bill comes in response to suicides that on average claim the lives of 22 military veterans every day. White House spokesman Josh Earnest said President Barack Obama strongly supports the bill and will sign it. The Senate vote on the bill was 99-0. Sen. Mark Kirk, R-Ill., missed the vote because of a winter storm that delayed flights from Chicago. Kirk is a co-sponsor of the bill and would have voted yes, a spokeswoman said. The measure would require the Pentagon and Veterans Affairs Department to submit to independent reviews of their suicide prevention programs and offers financial incentives to psychiatrists and other mental health professionals who agree to work for the VA. It also would help military members as they transition from active duty to veteran status. “Our nation has much work still to do to fulfill its responsibilities for our veterans, and this bill is an important step in improving life-saving mental health care services for the men and women who have served and sacrificed,” McCain said. Clay Hunt’s mother, Susan Selke of Houston, said Hunt’s family was grateful for the Senate’s vote to approve the bill and for the work by lawmakers from both parties and both chambers to ensure its passage. Paul Rieckhoff, CEO and founder of the Iraq and Afghanistan Veterans of America, an advocacy group that pushed for the bill, called Senate passage “a tremendous day” for veterans and their families. 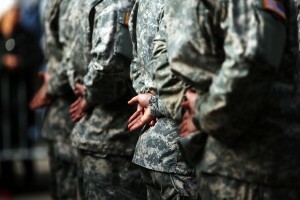 “For too long the crisis of veteran suicide has been hidden in the shadows. This bill gives many veterans the new hope they so desperately need and demonstrates that our leaders are willing to give veterans the care they deserve,” Rieckhoff said. John Stroud, national commander of the Veterans of Foreign Wars of the United States, said the bill strengthens and expands the mental health programs and services available to service members and veterans. Even so, the VFW is concerned that some service members are being kicked out of the military for pre-existing mental health problems without first being properly diagnosed or treated, “meaning they could easily be denied critical VA care and benefits after they are discharged,” Stroud said. Stroud and other veterans groups urged Congress to continue to work on the issue. Despite the unanimous votes in support of the bill in the House and Senate, the measure has faced resistance from some lawmakers. Supporters of the bill were frustrated late last year when the measure was blocked by then-Sen. Tom Coburn, R-Okla.
Coburn, who retired in January, said the bill duplicated existing programs. He also objected to the $22 million price tag. The latest version of the bill orders the Veterans Affairs Department to find money for suicide-prevention programs within its $160 billion budget.